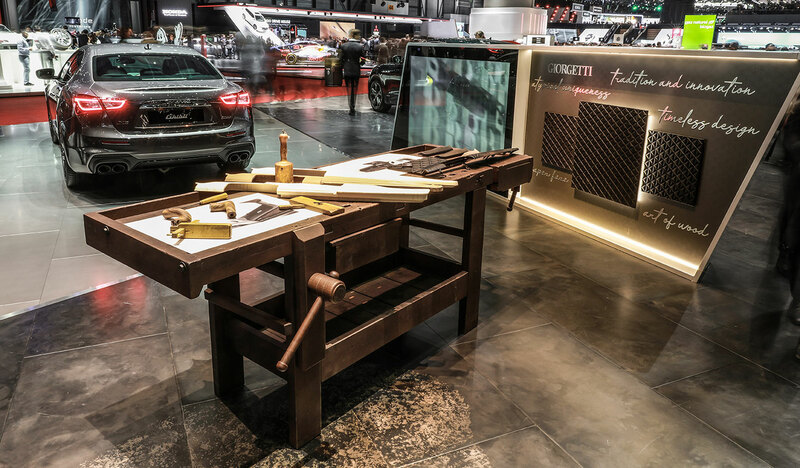 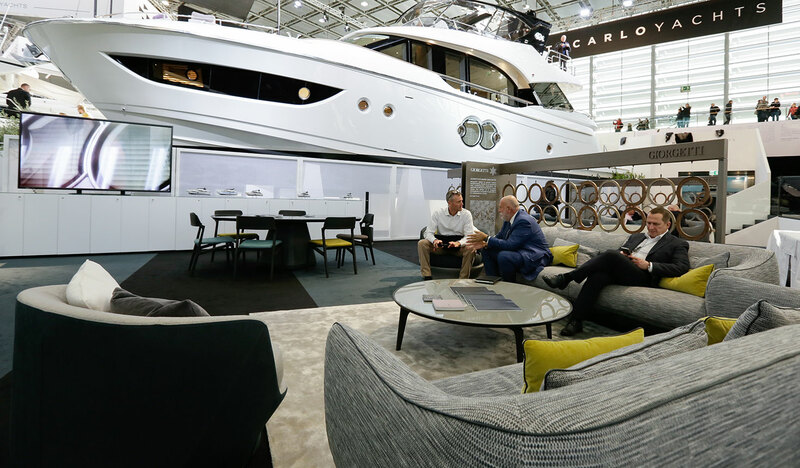 At the Geneva Motor Show 2019 (7-17 March), Giorgetti reveals their woodworking secrets in a special outfitting at the Maserati stand that elevates the craftsmanship of the brand and furnishes two elegant lounges. 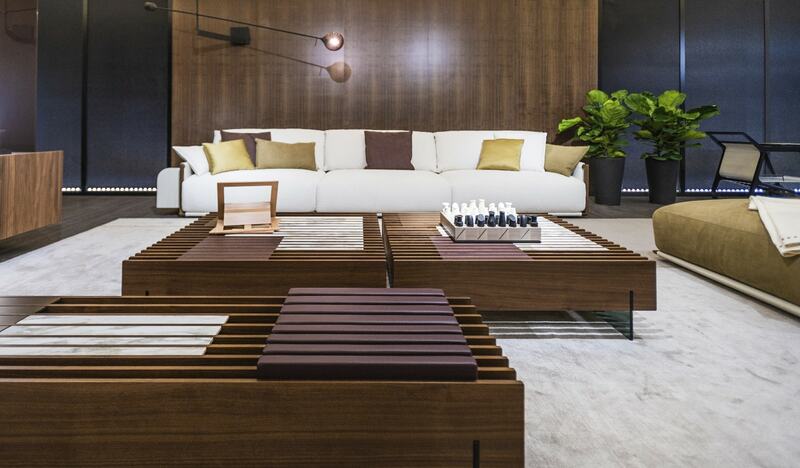 Totally renewed in the design, materials and contents, the exhibition space of the so-called Trident House is an itinerary dominated by the Italian persona, the high craftsmanship and innovation: the same values that, together with the aesthetic research, the experimentation and the significance of the tradition, have motivated Giorgetti for over 120 years. 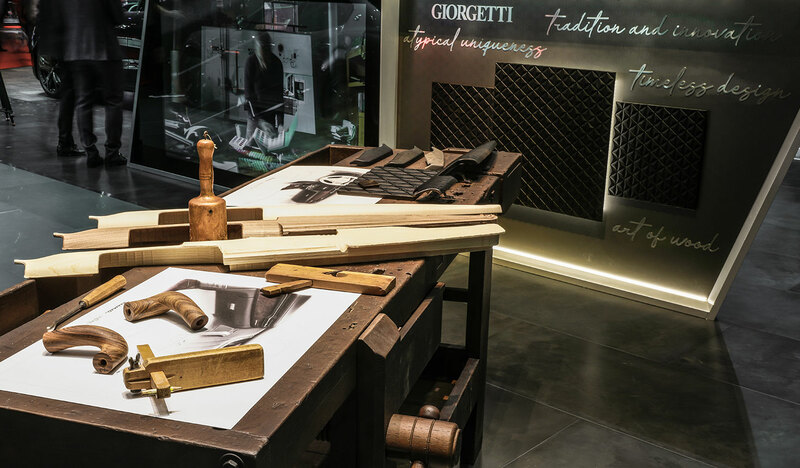 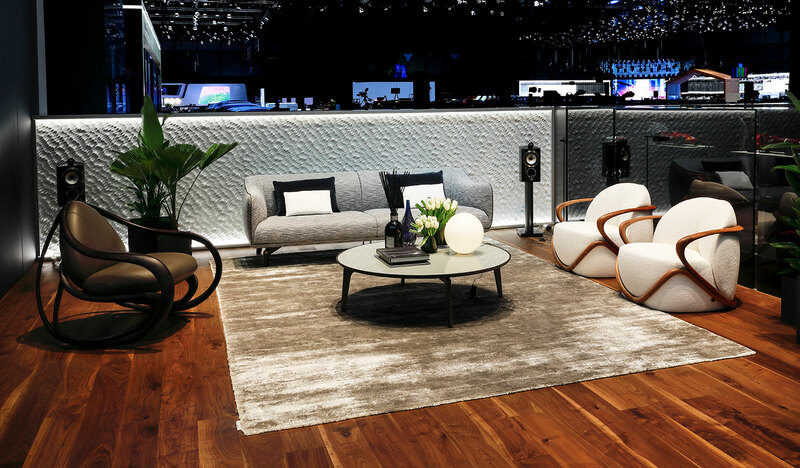 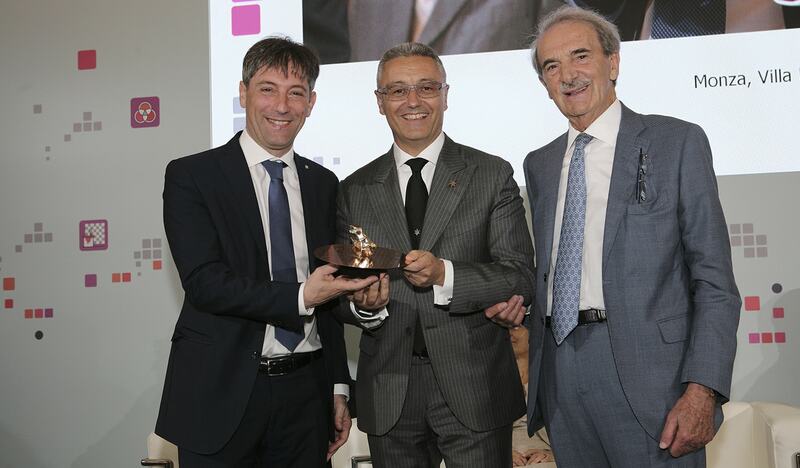 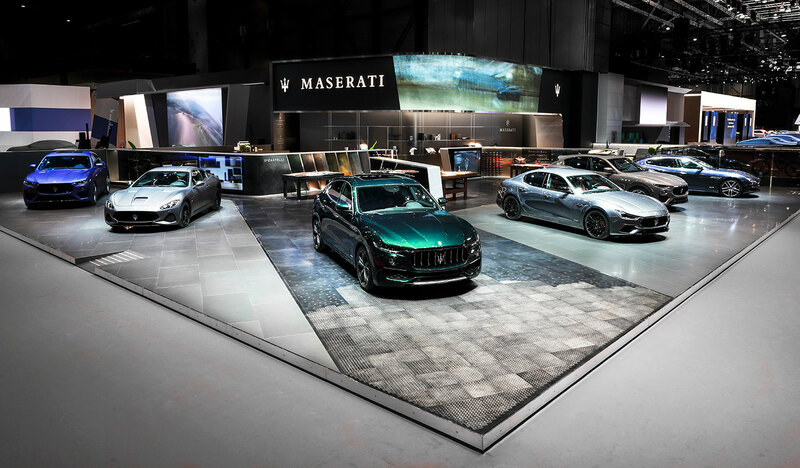 A Giorgetti space dedicated to its own Craftsmanship is indeed part of the Maserati stand, organised as a fact-finding itinerary of the made in Italy and split into three thematic areas with similar guest companies. 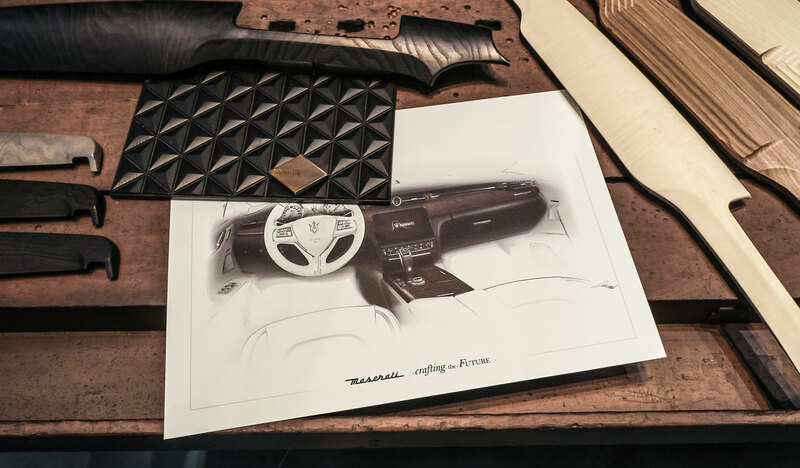 The vital point, the woodworking, where the company boasts a centenary tradition, and a working table with several tools, a decorative panel with a 3D drawing and car parts, such as the dashboard strips of the Maserati Quattroporte, rethought and worked with the Giorgetti master craftsmen directly with the quality wood on various essences. 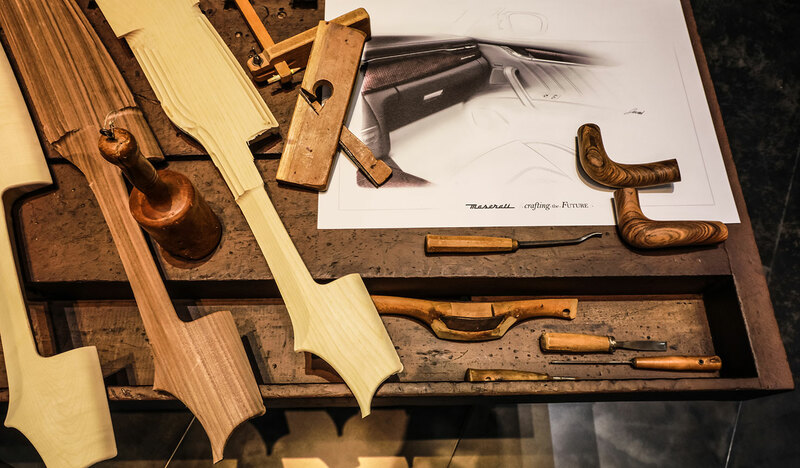 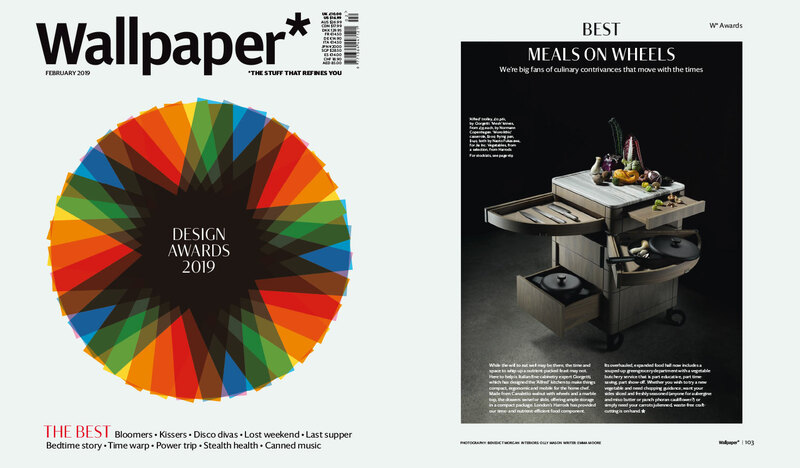 The outcome is an exercise in design on the solid timber, talking about the way in which the design can challenge the manufacturing tradition. 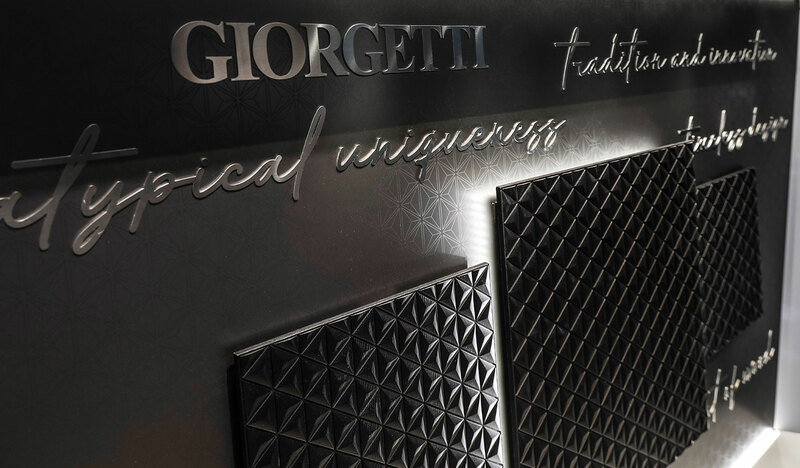 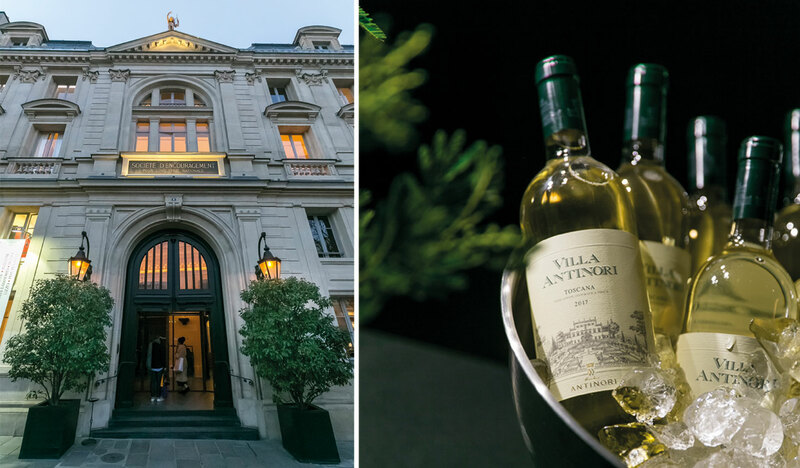 The history of a Made in Italy of 2 historic companies, characterised by ancient wisdom, manual ability and digital innovation, which can incorporate high value-added procedures and materials. 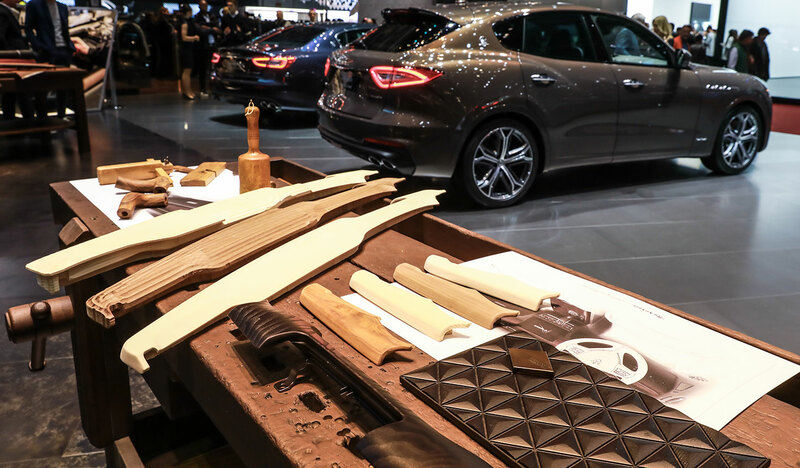 Furthermore, to greet visitors in the Maserati stand there are two comfortable lounges directly supplied with Giorgetti pieces: functional and classic sofas, armchairs and coffee tables able to combine the cabinetmaking tradition and technological innovation.